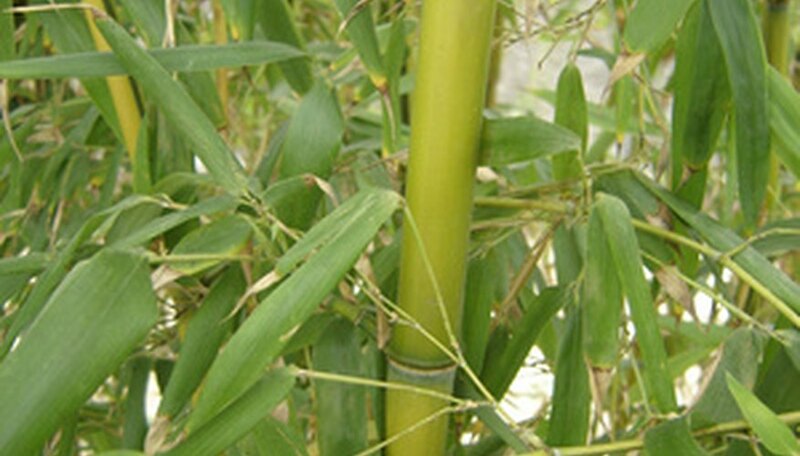 Bamboo is a large cousin to the same grass you grow in your lawn. It can vary in size, from 3 inches to more than 100 feet in height, and grows in varied environments around the world, from forests to mountain ranges. There are two types of bamboo for the home gardener, and they are classified by their roots: clumping and running. Runners, true to their name, spread by runners. The clumping types of bamboo are generally tropical in nature, such as \"Fergesia,\" and are less invasive than the running varieties. Bamboo grows quickly and is easy to care for. Choose a planting location for your bamboo. Depending upon the variety, it will need either shade (\"Fargesia\") or full, hot sun (\"Moso\"). In northern parts of Oregon, certain shade varieties (many of the Borinda species) may do well in a sunny location. Contact the county cooperative extension agent in your area for suggestions. Prepare the planting bed by digging it up to a depth of 12 inches. Add a 3-inch layer of compost and a 3-inch layer of sphagnum peat moss to the soil, and work them into the soil to a depth of 6 inches. Bamboo will grow in many soil types, but these amendments will give it a good start. Dig a hole that is the same depth and three times the diameter as the pot in which the bamboo is currently growing. Remove the bamboo plant from the pot (lightly tap it on the ground if the plant seems to be stuck) and place the roots into the hole. Backfill the hole with soil and tamp lightly around the base of the plant to remove air pockets. If you are planting more than one bamboo plant, plant them three to five feet apart. Spread 4 inches of mulch around the base of the bamboo. This will help protect the roots in the colder winter temperatures in Oregon. Water the bamboo until the soil is saturated, and then provide one gallon of water once a week, more if the weather is particularly dry or windy, and less during Oregon’s rainiest periods. Bamboo growers at Bamboo Garden recommend annual root pruning as the first option for control of running bamboo.